My First Alphabetizer is a sequential and visual way to learn how to alphabetize. 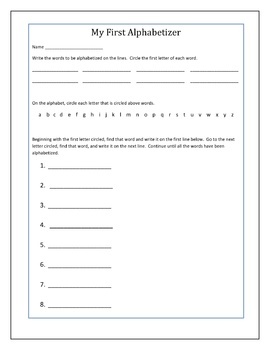 It is best used with children in 1st grade or older students who are having difficulty learning how to put words in alphabetical order. Use only with words that do not begin with the same letter.